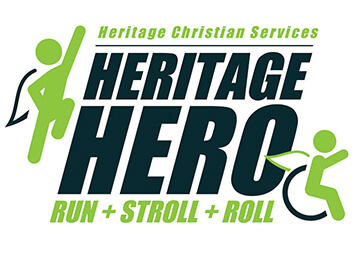 The Heritage Hero is a walk, 5K race and all new 10K race that supports people with developmental disabilities, children and seniors through the work of Heritage Christian Services. The event will again be hosted for the second year in a row at the ever popular Seabreeze Amusement Park in Rochester! We invite you to come out and race and/or walk and then enjoy a day of fun all of the rides and slides! At the Heritage Hero, we recognize those heroes who make us proud and help us become better people. Their warm spirit and positive outlook on life inspires everyone around them. Honor a family member enlisted in the armed forces, or a survivor of a serious illness. Maybe you’ll participate for a loved one whose spirit burns brightly despite their passing. By supporting the Heritage Hero, you’re helping people live the best life possible – one that’s full of compassion and dignity. That’s why we fundraise every year to grow the Heritage Christian Services Foundation. Your support makes a difference in the lives of people today and in the future. Register or learn more at: www.HeritageHero.org.